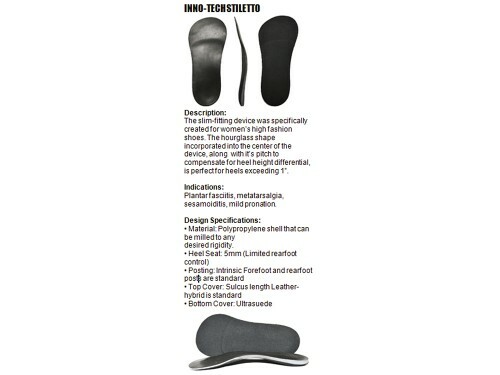 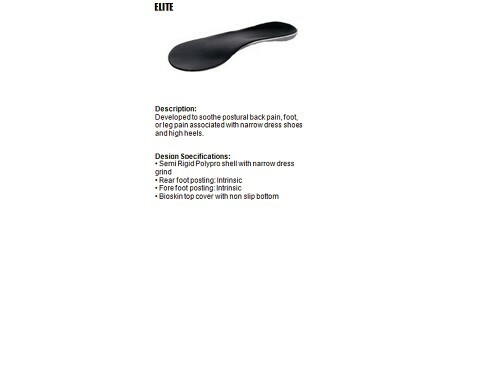 Similar to the Inno-Tech this extrinsically posted device is perfect for everyday use.The crepe rear foot post ads as a shock absorber at heel strike while its nonslip design prevents sheer from occurring inside the shoe. 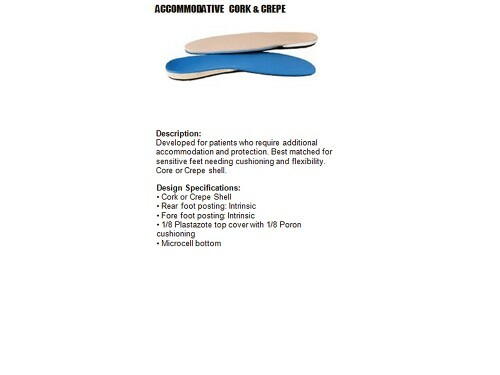 Pes planus (flatfoot), Plantar fasciitis, generalized foot pain, heel spurs, metatarsalgia. 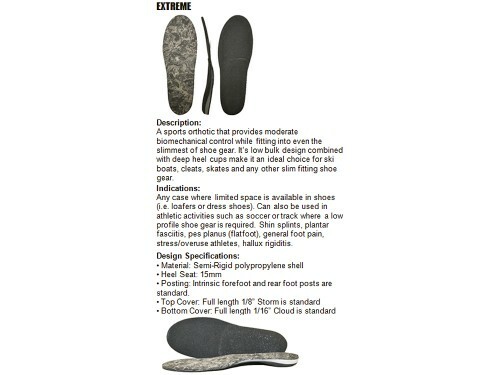 Material: Polypropylene shell that can be mllled to any desired rigidity. 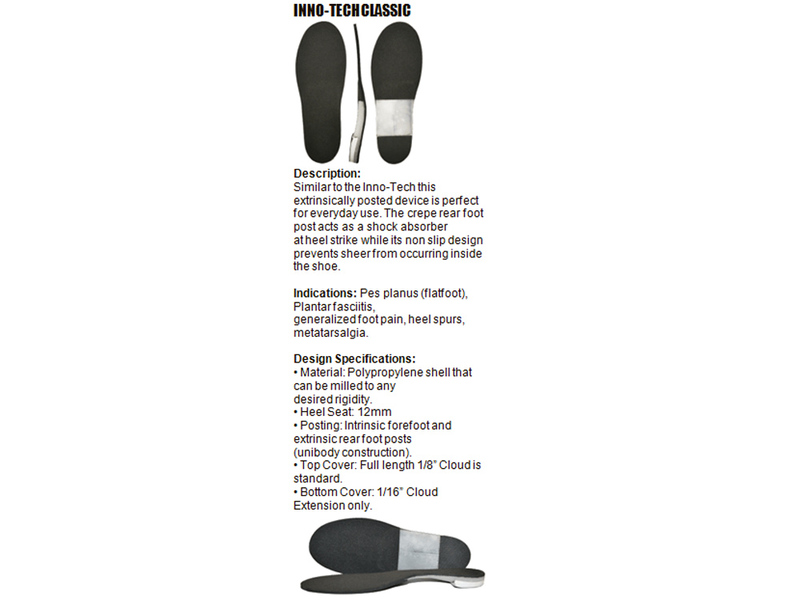 Top Cover: Full length 18″ Cloud is standard. Bottom Cover: 1/16″ Cloud Extension only.